VA guidelines allow eligible borrowers to finance the purchase of mobile homes, manufactured homes, or even land. While many websites may say otherwise, VA mortgage loans can be applied toward land purchases under the right circumstances. 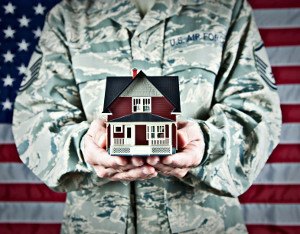 In Chapter 3, Section 2 of the VA Lender’s Handbook regarding Eligible VA Loan Land Purchases, the regulations allow the VA to guarantee home loans to eligible veterans for home purchase or home construction, including condominiums and cooperative units, to be owned and inhabited by the borrower as a home. When conveying this information, many privately-owned mortgage companies with VA mortgage websites incorrectly translate this policy as prohibiting VA loan land purchase and solely allowing purchases of existing residences. Essentially, borrowers can either borrow money for new home construction or choose to finance the purchase of a manufactured or mobile home in combination with the land required for the new home. Also, VA appraisal guidelines affect borrower ability to purchase land, because VA mortgage loans inherently require an appraisal before the acquisition. According to page 11, Section 3, “Dwellings where construction has not started or is under construction but not completed to the customer preference stage are considered proposed construction. A home may be appraised from plans and specifications or a model home”. Since VA loans require appraisals, borrowers purchasing land must have a substitute that can, with reasonable accuracy, represent the value of the proposed property, whether based on the specifications for the to-be-constructed property or a model home. Concerning mobile homes, the department of Veteran Affairs requires that the home is considered “real property,” basically meaning that the mobile home must include a permanent foundation. As such, the VA will not finance loans for the purchase of mobile homes or manufactured that are unattached to the foundation. Also, other conditions and restrictions may apply, including factors such as builder warranties or guarantees for the home foundation. For VA borrowers who already own land and do not intend to purchase more, Veteran Affairs includes some provisions to address these circumstances. According to the VA Handbook, “Loans may also be guaranteed for the construction of a residence on land already owned by the veteran,” allowing eligible VA borrowers to finance home construction on pre-owned land. However, in these situations, the VA restricts financing to only the construction of properties not exceeding four family units and a single unit for use. While the VA can make exceptions if certain conditions are met concerning “joint loans,” these exceptions depend largely on individual circumstances. Accordingly, borrowers should contact their lenders to determine what rules and restrictions for joint loans may apply, as the VA considers these exceptions on an individual basis. VA loan conventions prohibit land purchases of undeveloped land or vacant lots with no intended home construction; rather, these types of land purchases must operate in combination with a construction loan. The borrower cannot finance a land purchase with a VA loan without specific plans for a development of the land within a particular time frame.